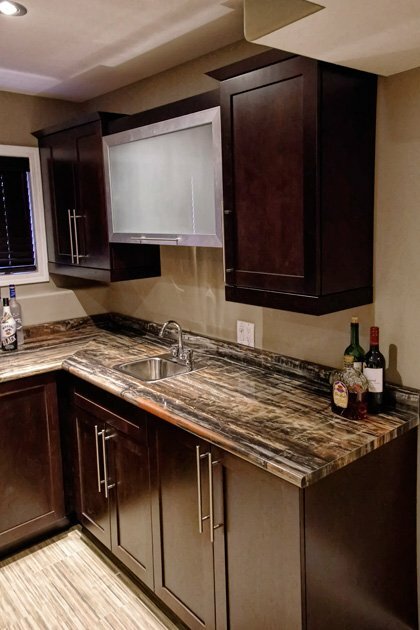 At Contractor’s Corner we offer a wide variety of cabinet options. 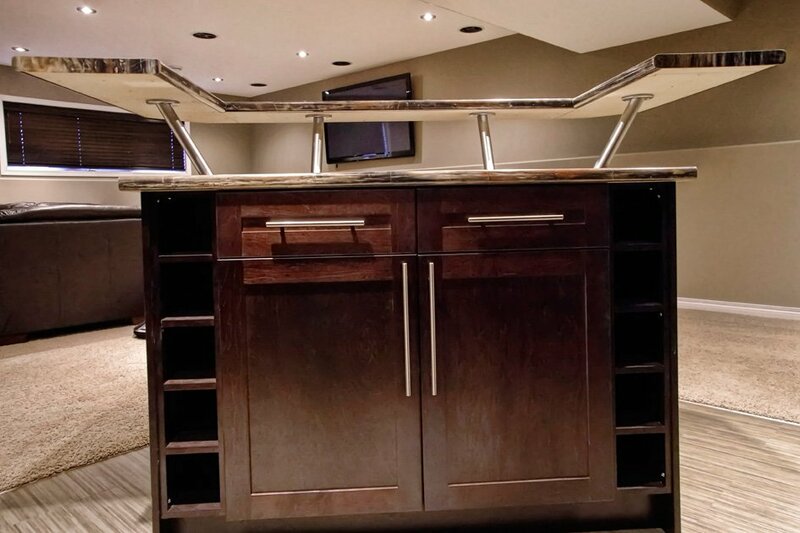 The majority of our cabinets are from Urban Effects, made right in Winnipeg. 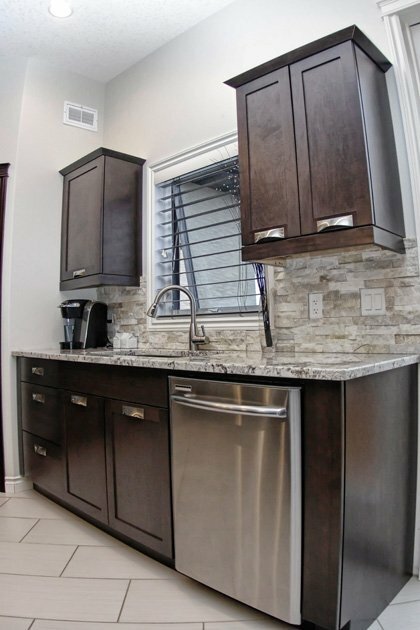 These cabinets are available in many species, stain colours and sprayed finishes. 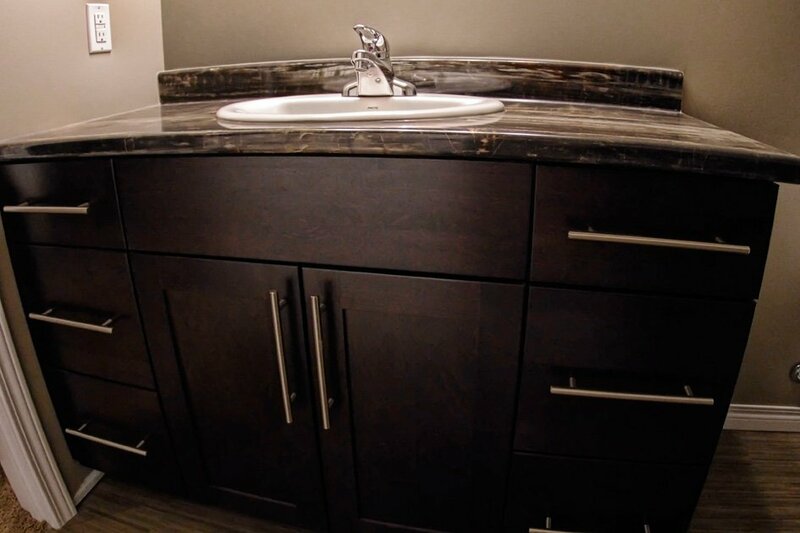 Although Norcraft does offer standard size cabinets they provide an option to customize any cabinet. In addition to Urban Effects, we also have access to K2G cabinets, available within days of ordering. K2G cabinets are offered in white, natural maple and smoke maple only. The third option is to have cabinets built custom by our excellent carpenters. We offer this service to both residential and commercial clients. We also offer painted cabinets. We have options for every budget and will do our best to find the right solution for our clients. Our in house designers are here to assist by suggesting new ideas and functional solutions. We have the ability to produce 3D color renderings that let our clients see their new space from every angle. Appointments available after hours to accommodate customers.